Katherine is a UK trained physiotherapist who specialises in the areas of orthopaedics, general musculoskeletal rehab and women’s health. Through her extensive working experience both in the UK (2 years) and Singapore (5+ years), Katherine has gained invaluable experience treating different conditions and learning from highly specialised experts in their field. Her working experience includes the specialities of musculoskeletal, sports, geriatric rehab and post surgical care. 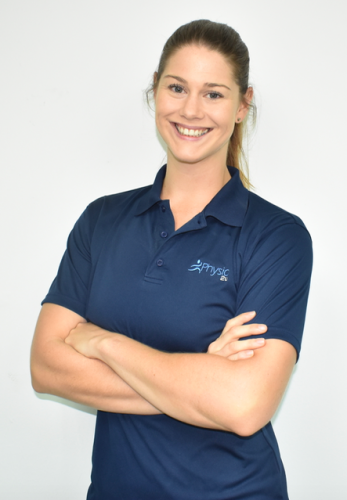 As a keen sports woman, with experience of playing top level netball, working as a pitch side AFL and rugby physio as well as leading outdoor group exercise classes, she has gained meaningful experience in the management and rehabilitation of athletes and sports people. The aspect of physiotherapy that drives Katherine is helping to provide patients with long term solutions that they can implement and sustain themselves when it comes to their rehabilitation. Having reaped the rewards of a strength and conditioning programme for herself she now, more than ever, has an active interest in helping her patients realise their full potential. Katherine is hard working and compassionate with continuing great reviews from clients.